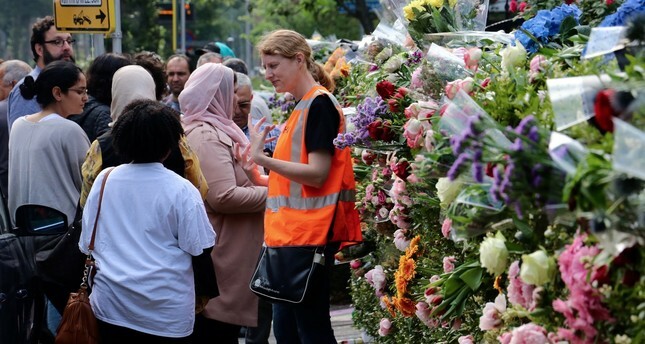 People leave flowers at the entrance of the Turkish mosque, Rotterdam to protest the anti-Islamic Pediga group’s plan to roast pork in front of it during the fast-breaking meal, June 7. COLUMNS Who pulls Donald Trump's strings? On Thursday evening, the racist PEGIDA movement attempted to roast pigs outside the Laleli mosque in Rotterdam, Holland. The group was hoping to insult local followers of Islam, which bans the consumption of pork, and to provoke violence. Luckily, the Islamophobic protest was called off after a slew of complaints. This victory against right-wing extremism was indeed welcome, but it is hardly the only attempted attack against Muslims, who are a small minority in Europe. Across the continent, lurking Islamophobia has shaped laws and actions taken by public authorities to evolve into a systematic assault. Most recently, the Austrian government announced that it was going to close seven mosques and expel 40 imams. Six of those mosques are operated by Salafi groups, which, Austria says, preach violence. The remaining place of worship, frequented by the Turkish community, will be shut down because it lacks a "special permit". Meanwhile, Austrian authorities decided to deport 40 imams, who worked with the moderate Turkish-Islamic Union for Cultural and Social Cooperation in Austria (ATIB), because the organization allegedly received financial support from abroad. The Austrian government is expected to expel all 60 imams within its borders. It would appear that those decisions are in line with Austria's laws. In 2017, the country passed the so-called Islam Law, a piece of legislation that came under fire for violation of religious freedoms, which requires religious organizations to obtain a special permit from the authorities in order to disseminate religious teachings. Moreover, it stipulates that imams serving in Austria cannot receive funding from abroad. But there are two problems here: First, the Austrian law on Islam violates universal principles by making it possible for the authorities to shut down temples at will. Secondly, imams working with ATIB receive funding from a private foundation with a headquarters in Belgium. To be clear, the Austrian government's decision would not be justified even if the imams were paid by a foreign government, since it is in violation of the constitutional principle of equality and Austrian jurisprudence on the financing of religious communities. After all, it is no secret that the various groups and civic associations, which follow a range of religions and faiths, receive funding from abroad. But let us leave aside all those legal arrangements for a moment – mainly because we already know that those laws serve as a smokescreen to ensure the "legitimacy" of the government's controversial decisions. Muslims across the European continent, especially in Austria, struggle with rising xenophobia every day. European Muslims know perfectly well that the continent has a problem with them rather than their mosques. As a wave of racism and xenophobia targets Muslims in Europe, the European Union remains crippled by a few thousand refugees. When it comes to Muslims, it seems Europe stops caring about human rights, freedom of thought and religious liberties.